No expense has been spared in this 2 story luxurious condo. 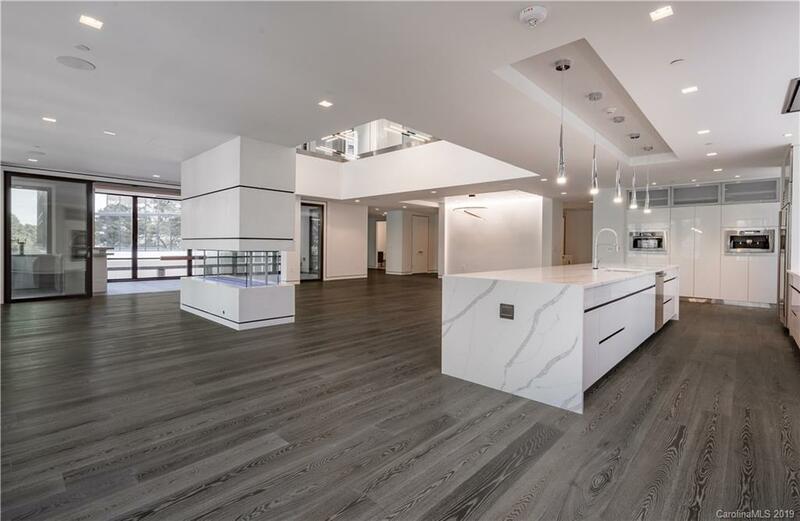 DuChateau European Oiled Ash HW flooring flows underfoot while a soaring double-height mezzanine level overhead and vast walls of glass create a spacious and airy feel. The gourmet kitchen is an entertainer’s dream w/ a 16' island w/ Statuario Quartz countertops and a waterfall edge. From here you can look over the open-plan great room w/ Davinci fireplace. The master suite is located on the upper level and is an absolute masterclass in luxury. Offering space for a sitting area, a closet with Cygnus Granite from Brazil and a gorgeous ensuite complete with Silver Paradiso Granite from India, SS 7’x5’ tub, and Schluter tile made from Basalt Lava Stone. Hands Grohe fixtures are also on show along w/ walnut panel inlay in the columns. Designer lighting by Sonneman w/ Nemo LED Italian imported lighting fixtures add class and style and the condo is also pre-wired for any modern AV-control system with in-wall speakers throughout.